Tone It Up and Tri It Out–Karena Did! I caught up with Tone It Up’s Karena Dawn today during her lunch break while she was on a fitness photo shoot for Cosmopolitan Magazine. Karena just completed her first Ironman 70.3 race in Oceanside and while it challenged the begeesus out of her, it was an experience that taught her that anything is do-able if you just apply yourself, focus, talk to yourself, maybe sing a happy song and well, just have fun, even if you cry a bit. 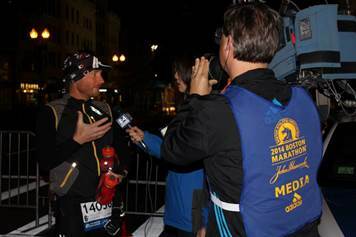 How are you feeling after the race: A lot better than I thought. Sunday was a tough day to get out of bed and move around but I realized that the more I walked and moved, and with the help of my Trigger Point Grid roller, I felt better. Today (only 3 days after race), I don’t feel a thing! I feel good! Everyone talks about the swim being really cold and we know you’re not an open water swimmer. How was that for you? Well, the water was cold when I first got it but once the gun went off, I didn’t even think about it. Of the swim, bike and run disciplines, which one were you most nervous about? Initially the swim. I never got into the open water for training and I only started straining 10 weeks out from the race as work was very demanding at the time. 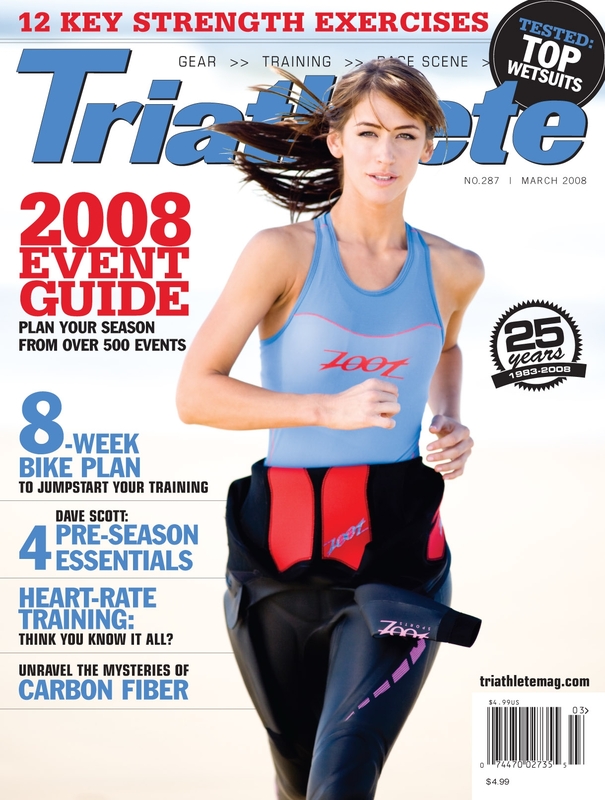 But, once I got out of the water and onto the bike, it was the bike course that was the toughest for me, and the one I anticipated would be the easiest for me. I did NOT expect those hills!! I saw the first hill and screamed out, “No way!” There were people walking up the hill and I just pedaled and said to myself, “I am not walking up the hill. “ I used self-motivation and self-talk to get up the hills but it was one of the most difficult mental and physical challenges that I’ve overcome. As a personal trainer, you are accustomed to motivating people all of the time. You and Katrina have a crazy loyal and large following but when it came down to it, how did you motivate yourself? I’ll tell you how. I sang, I cried, I talked to myself, I pee’d on myself (which I told myself I would not do). I would say, ‘You’ve got this!’ or ‘You can do this!’ and those little phrases seemed to help. Singing? What exactly do you sing when you’re climbing up a big hill? I’m known for making up my own songs and laughing at myself. I’ll do anything to pass the time. On a serious note, I learned that I could take these large physical and mental challenges and apply them to other parts of my life. If I put it perspective, I feel I am capable of doing anything! What did you eat the morning of the race: Banana with peanut butter and a bar. During: Gels, gels and more gels. I set my watch every 15-20 minutes to stay hydrated and took a bite of banana on the run because I couldn’t stomach another gel. 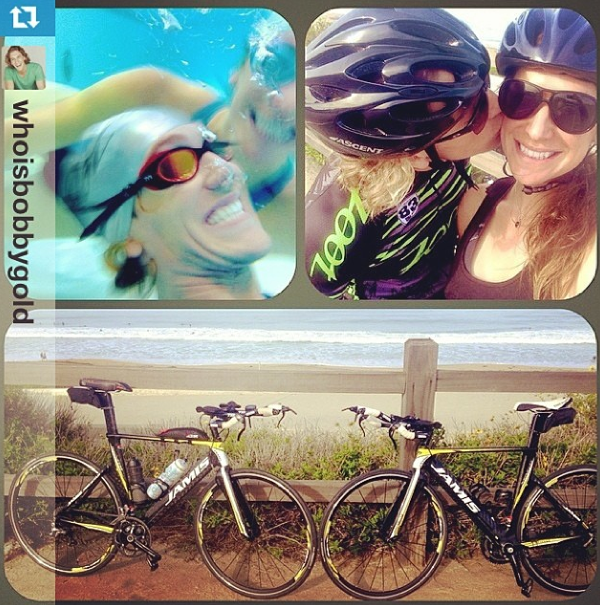 Your boyfriend Bobby – was this his first race: This was Bobby’s 2nd triathlon. He placed 4th in his age group last year at Malibu, a race we both did. He has a swimming background but was never a runner or cyclist. He now loves the sport and competition. Tell us about your training: I coached myself and trained mostly on my own. Bobby and I would sometimes do the easier stuff together but he’s stronger. I like that time by myself. If I did it again, I would enlist an actual coach. That race was harder than I thought. 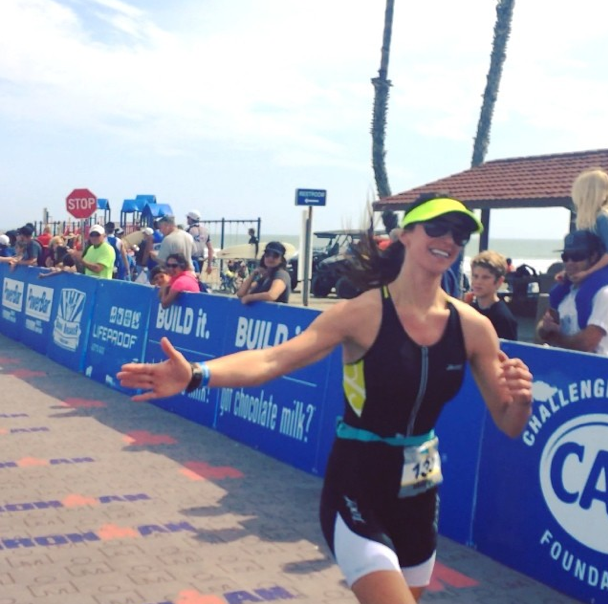 Will you do another tri this year: I’m racing Malibu again this year. In fact the entire Tone It Up Team will be participating. Post race treat: We went out for a big sushi dinner and I just ate everything. How is business: Fabulous. Growing year to year. So fun. Any big plans in 2014: April 28th is the launch of our Bikini Series and in June we have a Signature Series coming out with Oakley that we are beyond excited about. What’s going on with Bravo: We’re hoping for another season of Toned Up. What have you learned from being on TV: We’re so used to having cameras around and we share so much about our lives anyway. Our community of women has grown and that was our goal. It’s inspiring to see women achieve their goals and come together to support each other. Let’s finish it off with triathlon – what would you tell people that want to train for an Ironman 70.3 but aren’t sure they can do it: No matter how busy you are, you can do it. Just make that time and prioritize it for yourself. Just set your mind to it and schedule in what you can, even if it means missing a coffee or lunch date here or there. And would you do it again: Not for now. 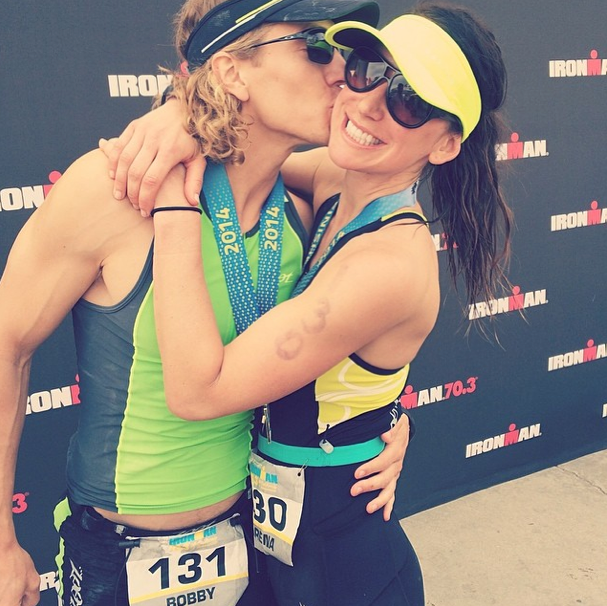 The 70.3 distance was on my bucket list and for now, I’m happy to have it checked. 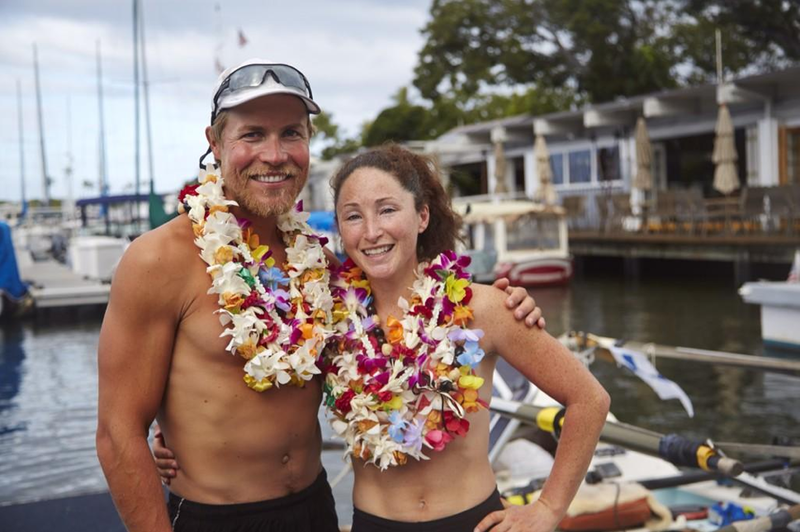 No Sugar, No Problem–Meredith Loring and Sami Inkinen Spill The Secrets Of Their World Record (And Marriage)! Eco-Friendly Ways To Step Up Your Health (And The Planet’s)!